High school is an awkward place. Personal interactions are tough, romance is opaque, and Leah Burke is no stranger to these issues. Her progressive ideas and accepting attitude towards others is only matched by the difficulty of doing so. She must deal with prehistoric attitudes of classmates around her who have no regard or care for how others are. With her friends and herself having varied sexualities across the spectrum, she has learned to accept and embrace them. However, as high school comes to a close, Leah’s somewhat isolated and workable bubble is shattered. Everyone and everything she knows clash together and nothing seems certain. It is through this struggle that she must find what she truly values in life. 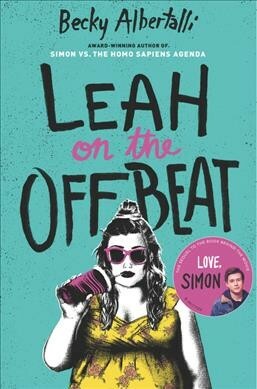 Leah on the Offbeat may technically be a sequel, but it is not entirely necessary to read Simon vs. the Homo Sapiens Agenda, the first in the series. Although the universe and characters are the same, the focus is different and viewpoints are swapped. The book itself is an interesting case study. With the rapidly emerging subgenre of empowered minorities and so-called “underdogs” in modern novels, it is extremely difficult to review this book objectively. However, while I can say this book is divisive, it ultimately brings nothing very profound to the table. While this is not necessarily bad for a book, the book fails as a statement. With all due respect to the author, it does not stand out. With that said, what it does well is the humanization of certain characters. Readers will find themselves identifying with at least some aspects of Leah and her friends. Ultimately, this is a decent but underwhelming novel that is just above average. 3/5 stars.